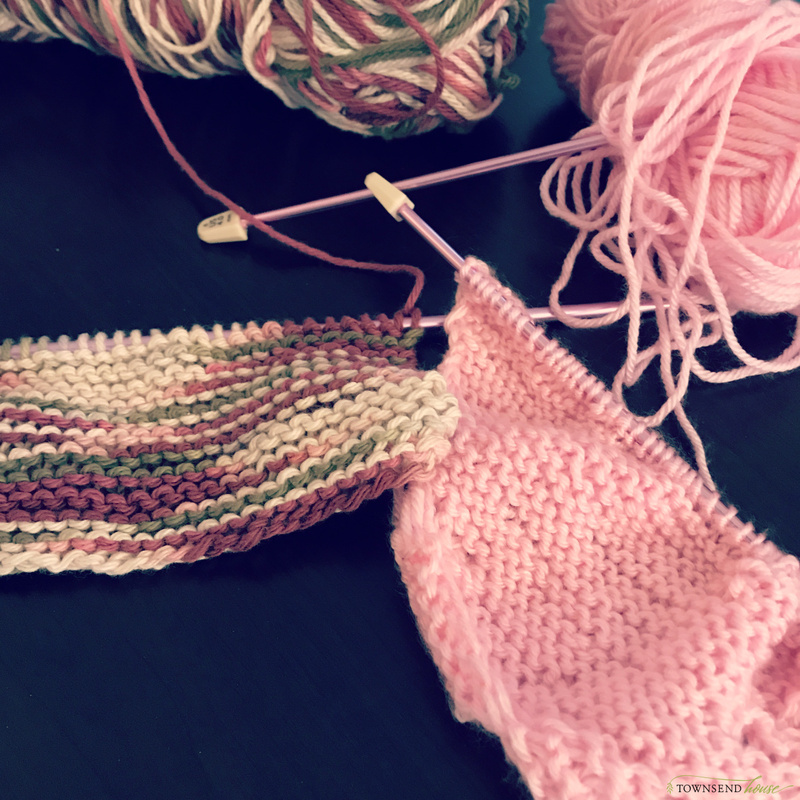 Knitting…oh I love knitting, but have not made the time for it lately. However, this past month, Emma finally got me to sit down with her and try to help her knit. Well, I can be her teacher in a lot of things, for some reason I cannot explain knitting to her. So after several YouTube videos, she was off on her own. We definitely need to work on counting stitches and recognizing when she is picking up between stitches, but I am so proud of her for putting her mind to it, and really just starting. I can see a lot of knitting dates in our future. It has become something that she likes to do while I am reading aloud to her, and if I’m being honest, sounds delightful to me! She is a long way off from a final product, but just seeing the joy that she has when she completes a row is so fun for me! Now, if I can just sit down with her to do some knitting of my own, that would be heavenly! 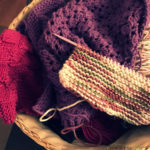 I think we might need to make a trip to the yarn store and pick out some new yarn – that will help get my creative juices flowing again as to something that I can make. 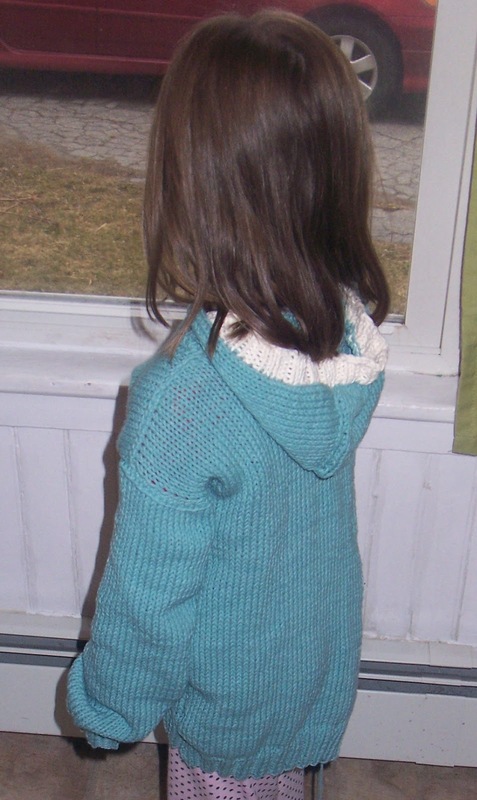 I actually just unpacked this sweater I made for Emma several years ago. It is still a little too big for Lucy, so it went back in the bin to the attic, but soon she will wear it as well, and that makes me happy! Reading is definitely one of my favorite past-times. In fact, I would probably be happy reading all day every day if given the chance. Actually, as homeschoolers, we do that quite a lot! And probably a big reason we lean towards literature based learning. This year I have the same reading goal as I have had since maybe 2012. Read 100 books. It seems like such a big goal, and I think I have only hit it ever once, but I like it, and so we are keeping it for this year as well! 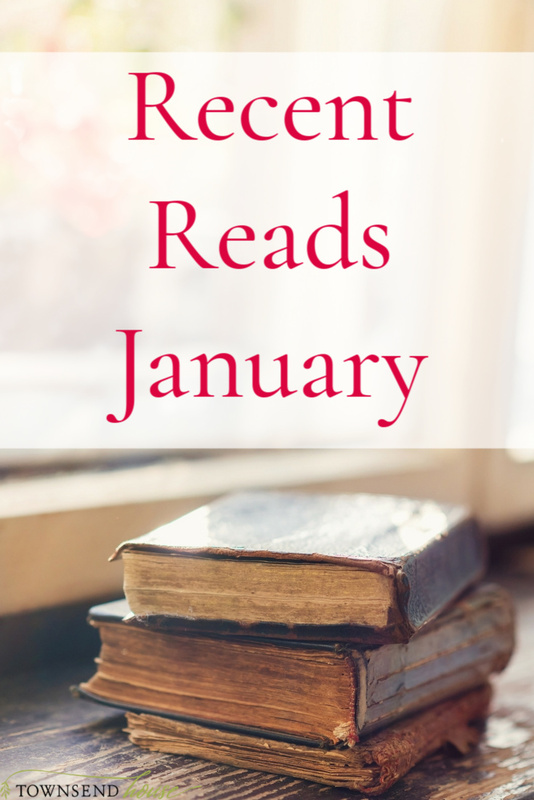 I actually read seven books in January, so I felt really good about the start of the year. My favorite book by far for the month was Letters to the Church by Francis Chan. I have had so many questions about the purpose of the church, and how we are “doing church” in America recently. And this book answered a lot of the questions that I had. It has caused my husband and I to completely re-evaluate church as we know it. We have spent a lot of time in prayer about the church over the past several years, and this book helped us a lot. I definitely recommend it if you are in the evangelical church, but still feel like something isn’t quite right, but you can’t really put your finger on it. 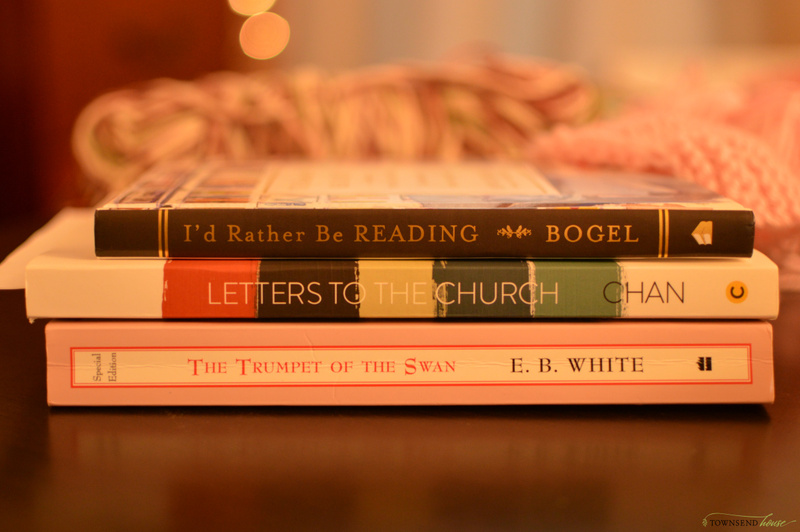 I finally got to reading I’d Rather be Reading by Anne Bogel. It was a wonderful collection of essays all about reading and readers, so perfect for me. I read this during quiet time one afternoon, and loved it. It is actually available on Kindle Unlimited right now if you subscribe to that service – which I do, because I am constantly looking for books on my kindle! I also finished The Writer’s Jungle by Julie Bogart. 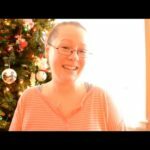 This is the main writing program from Julie at Brave Writer. I actually found Brave Writer 2 years ago when I was worried about Emma’s spelling. She loves to write, and would write pages and pages of stories, but was not spelling many words she knew correctly. Learning that developmentally it can take a while to reach that self-editing phase. This is where you are writing with good mechanics and spelling most of the time. I couldn’t understand how she could ace every single spelling program, memorize lists and lists of words, but then when using those same words in her own writing, was unable to spell them correctly. This program comes highly recommended from me if you are a homeschooler, or even if you aren’t. There are so many interesting pieces of information in this book to cross over to all learning. Our read aloud for December was actually The Trumpet of the Swan by E.B. White. I had never read this book when I was younger, and the kids thoroughly enjoyed it. The reason it counts as one of my January read alouds was because we finished it in January! During the winter months we love to do our read alouds after dinner, before bed. It is such a nice little ritual, and it helps add a little hygge into our days. This brings us to what I am currently reading. 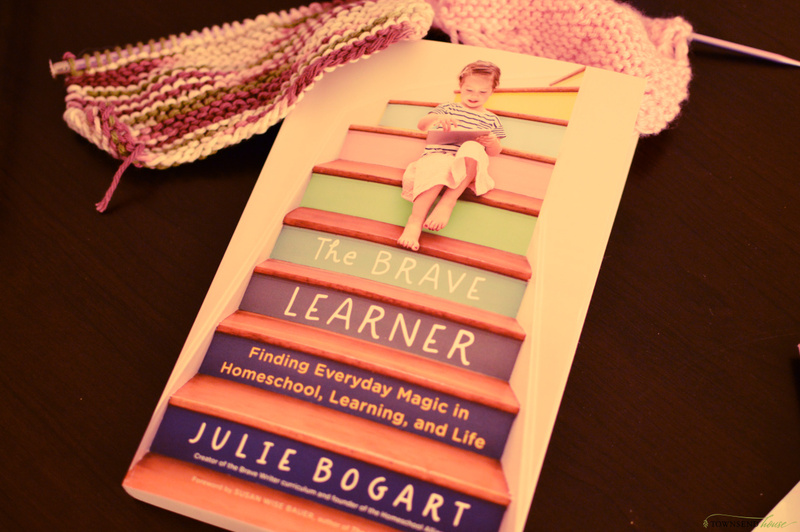 Yesterday I was excited to see The Brave Learner by Julie Bogart show up in my mailbox. If you couldn’t tell by my above blurb about The Writer’s Jungle, Julie Bogart has become a real mentor to me through her writing. It is always nice to have a bit of validation when it comes to what you are doing with your children, whether through homeschooling or parenting in general. For a long time I have been a big proponent of getting out of the public school mindset. The reason being that we are not in public school. My kids have the freedom to learn however we choose at home. Hearing someone else talk about the very things that I have been saying since we started our own homeschooling journey has been a breath of fresh air. Homeschooling, while becoming more popular, still is so far off the beaten path. And each homeschool family is so very different from another, we can easily fall into the comparison trap. We want to know that we are doing the “right” things for our kids, but there really is no exact measure for us to use. The best and worst thing about homeschooling is the freedom it gives. I will be starting this book today and will let you know how it is once I am finished! Joining in with Ginny at the yarn along! 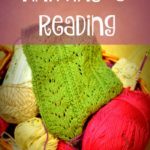 how lovely that your home school and love to read and knit and that now one of yours is learning to knit too! New to your blog, saw you via Ginny’s! Have a blessed night! God bless! My third grader (we also homeschool) struggles with spelling as well. Thank you for the book recommendations! We changed over to Spelling You See last year, and it has made a world of difference for my two older kids. It might be something you would like as well!